Jackie Faulkner is a new-old transplant from Vancouver, originally from Enderby, who is behind the new theatrical production of Mary’s Wedding which will run in Kelowna this coming summer. With a background in dance and theatre, Jackie has taken like a duck to water in the Okanagan theatrical community: working as the Dance Outreach Coordinator at the Vernon and District Performing Arts Centre, performing in Innerfish’s most recent production and now producing and acting in Mary’s Wedding. I sat down with her in back February to chat about how she finds acting and working in the Okanagan after the busy theatrical environs of Vancouver and the lower mainland. KB: So what brought you to the Okanagan from Vancouver? JF: Three things. One, is that I’m originally from Enerby. So there’s always been a secret goal in my head where I could live in the Okanagan and be near family and still be an actor and a dancer, which to me meant that I had to well known enough that I could book my theatre seasons and then live here when I’m not working. But I’ve been a lot luckier than that, as that’s not what it is necessary. The second reason was for love. And the third was that I was ill and need to come home to recoup, as well as the fact that a tour booking in Vancouver had also fallen through due to funding. So it just made sense to try to find work here, to see if it could work. So, in the end, I didn’t really make a choice to come here. It just gradually happened over a period of three months. And then at the end of those three months I realized ‘oh, I’ve moved’. KB: So have opportunities come? JF: So in a very ‘fate’ like way, Iwas incredibly fortunate to meet Neil Cadger the day before Denise Kenney and he were casting for their production called “The House at the End of the Road”. Literally the day before the reading. So I had literally just heard that by tour had fallen through, so I had thought ‘I should meet this guy. He’s in theatre’. And then I got a show. KB: So who are Neil and Denise? JF: Neil Cadger and Denise Kenney are the Artistic Directors of Innerfish Performance Company and they are also professors at UBCO in the Interdisciplinary Performance program. And they also both have lengthy performance credits. KB: What was the production like? JF: ‘The House at the End’ of the Road is a physical theatre, devised work, which just means that Neil and Denise had worked on several incarnations of this work. So they have worked on this piece which is about an urban couple feeling restless a couple of times at a couple of different festivals. For this incarnation, Denise stepped out acting to direct it. Neil stayed in to act and then I was cast in Denise’s former role. And then we added four members to become an ensemble. The tag-line for the show was something like “the restlessness of an urban couple and 152 two-by-fours”. There weren’t really 152. There were about 64 as that was the most all the actors could carry. KB: So how does it as a piece of performance work compare to other pieces you’re been in? JF: The closest I’ve ever been to doing devised theatre like that was when I do dance theatre with our dance company, where we work collaboratively and choreograph together. So in that way it was similar. It was an awesome experience for me as it was new to scrap things and strip them away, which can be weird if you’re not used to it. Denise describes it as in traditional theatre you focus a lot on you and your character. And in collaboration, you work more on the story. KB: So you now have you’re own project on the go right now. Can you tell me more about that? Also, how did it come to be? JF: Well, it started about a year ago when I thought about coming back to the area. I met with Sandra Kochran with the City of Kelowna to ask about what the status of professional theatre is here and how supportive is the city of theatre companies, as I had the feeling that I might have to create my own work. She was really supportive and let me know about their grants for non-profits – of which, I was not. I have some experience in the heritage sector. So I figured I needed to partner with someone, who could that be? I knew the Kelowna Museum Society was quite large, so I thought there could be something there. I could support what they do and do theatre. So I emailed Patti Kilback [with the Kelowna Museum] and said ‘would you like to meet? I’m a theatre artist’. She said yes, which was crazy of her.I didn’t have a pitch, as I didn’t know what they were working on. So we chatted and she explained that they were working on a wedding exhibition. 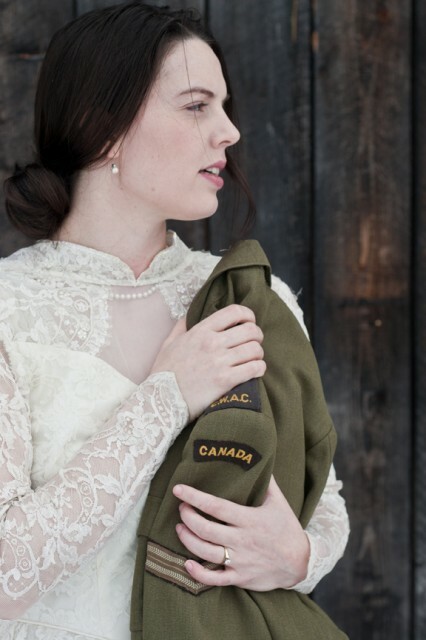 As soon as she said that, I thought about this great Canadian play that I knew of, that incorporated weddings and heritage and WWI – which they had just done a project on. And they had a great space, the Laurel Packinghouse. So over the course of that hour we went from no pitch to going to submit for a grant together. So I went that night a wrote the grant, sent it back to her and worked together on it over that week and we got it in a day early. So we waited and in January we found out that the City of Kelowna had awarded us our full ask, for which I’m incredibly grateful as it means the City is behind what we want to do. So the next step was to get the rights to play, which can be a very stressful process. The play will run June 20th to July 1st. KB: So coming from Vancouver, I’m curious what your perception of what theatre is like in the area right now? And what are some of the surprises or gaps that your coming across? JF: I had two thoughts coming here: one, that there is no professional theatre here and two, I thought that that meant that there are no theatre professionals here. I was almost right on there not really being any professional theatre. I mean Innerfish is professional but they can’t produce every year or every season or they perform in other places like Edmonton. As I’m in the community though, I’m meeting all these people with phenomenal performance backgrounds, who are really supportive. What I found was different was that I was immediately accepted here. It took me years of working in Vancouver, even after doing a degree that gave connections to get to a place where I was getting hired in my field. Technically I moved to Lake Country Nov 15th, so I’ve not been here very long. And now I’m producing work with the City’s support, and I’ve toured a show with a Kelowna company. I talk with other theatre people and they offer me the use of their equipment or their support. It’s a small community, but it’s inclusive, friendly. There are very few theatre professionals in the area and we want people to know what professional theatre looks like. KB: So what is the difference between professional theatre and community theatre? JF: Community theatre is for people from any background, any training level to perform a story and have an experience. I think it’s really important for people to try out the stage, not just be the audience. To become part of the community of a show and part of the theatre community. Whereas professional theatre, people are hired because they have dedicated their lives to this craft. The training level is there, the design level is there, the direction level is there. I want to put up work that is excellent, that is worth seeing. For me the two guideposts for doing anything with theatre is that it needs to be a story that is worth telling and that it needs to be a performance worth seeing. Both of those things usually take risk and they take commitment. They take the risk that everything could fail, but that if it succeeds, it could really matter. And that’s more important to me than just entertaining people. Mary’s Wedding runs in Kelowna from Jun 20th to July 1st – check the oook listings for details in May. 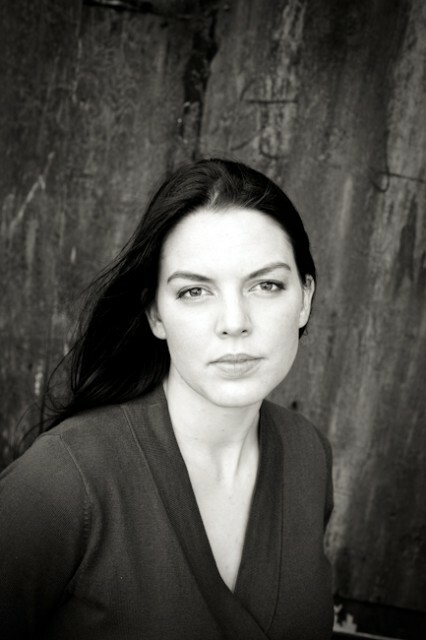 Jackie will also be bringing stories about theatre and dance in the Okanagan to oook this summer. So keep your eyes peeled.